Just a little chart to leave with you while I am away. 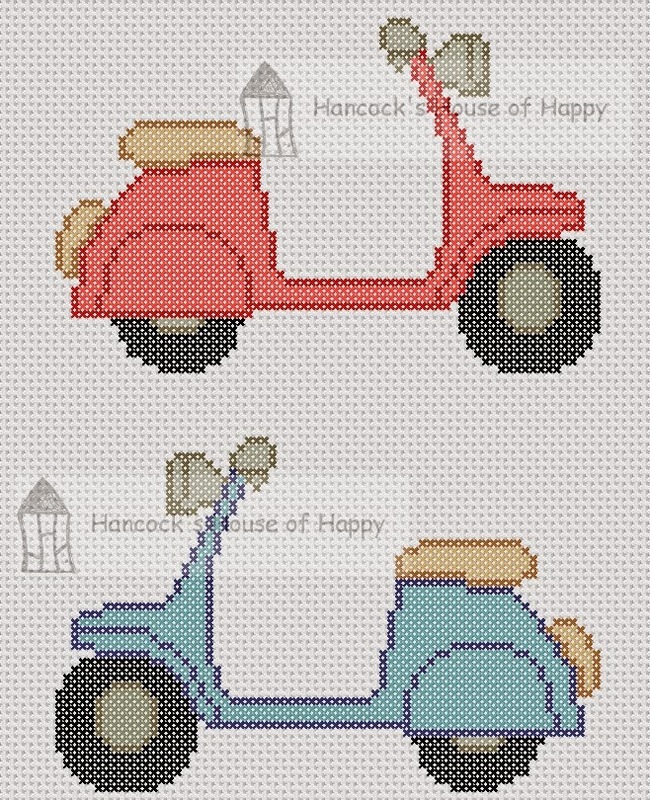 There won't be a cross stitch chart for a couple of weeks but you can keep up with my adventures on Tumblr and Instagram! 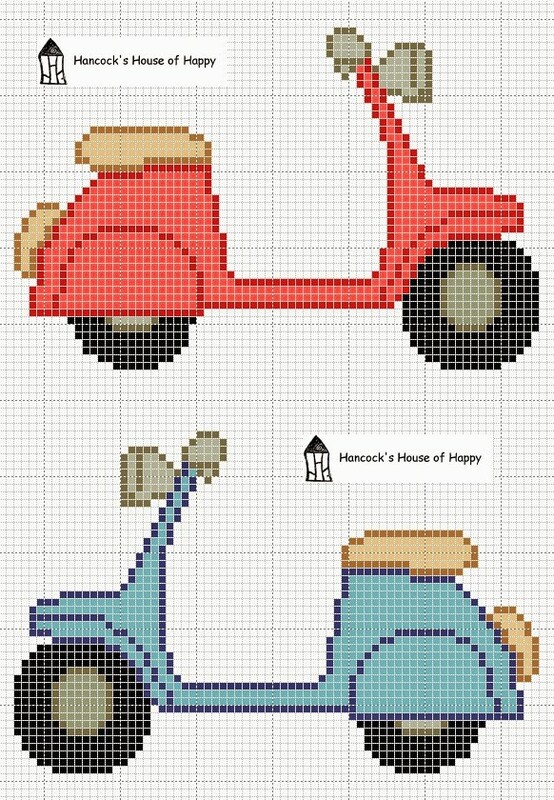 In the mean time why not stitch up one of these vespa scooters?